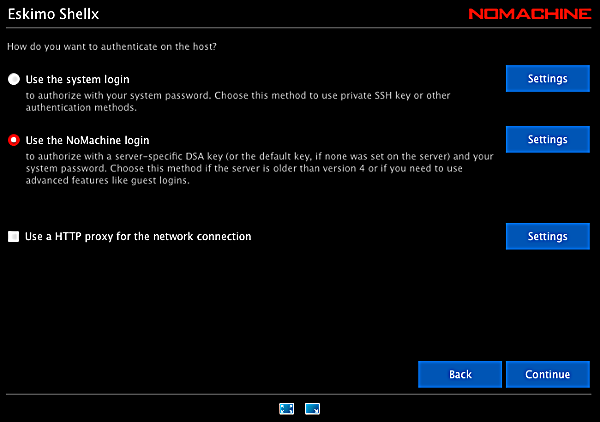 The No Machine NX player allows you to have a secure remote desktop even with a dial-up modem. With DSL or a cable modem connection, it comes close to physically being at the console. It is available for Linux, Windows, and MacOS. This works on all of our servers except the SunOS 4.1.4 based server, eskimo.com. 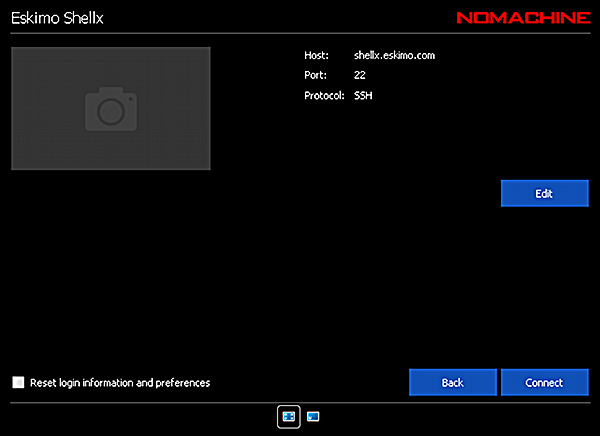 On Shellx and Scientific, choose the Gnome or KDE Desktop. On all of the newer machines the default desktop uses a compositing window manager which is not compatible with NX or X2Go. On these machines use Mate. To do this select custom session and fill in “mate-session” as the command to execute. 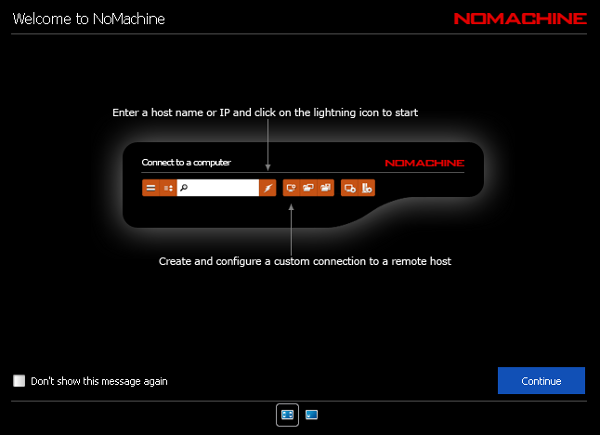 Download the free 4.0 nx client / player from the No Machine website. 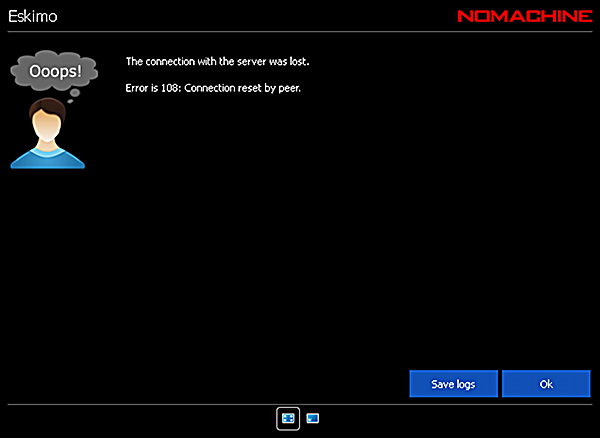 The first time you start the 4.0 nx client / player, if there are no existing connections, you will see a screen like this. Click on the little computer with the ‘+’ symbol to add a computer. You will now be asked how you want to authenticate. 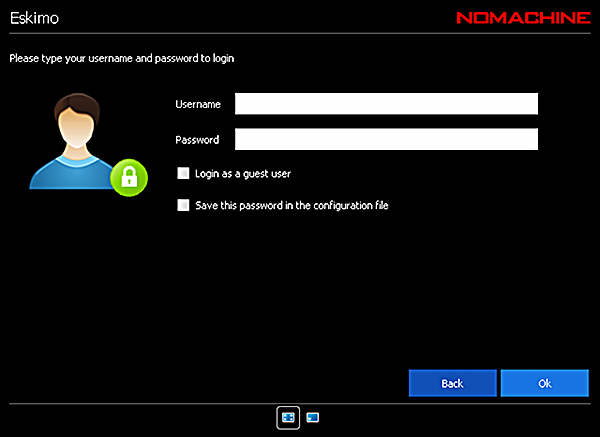 The server we are using here is based upon 3.5, so choose the second method, “Use the NoMachine login”. 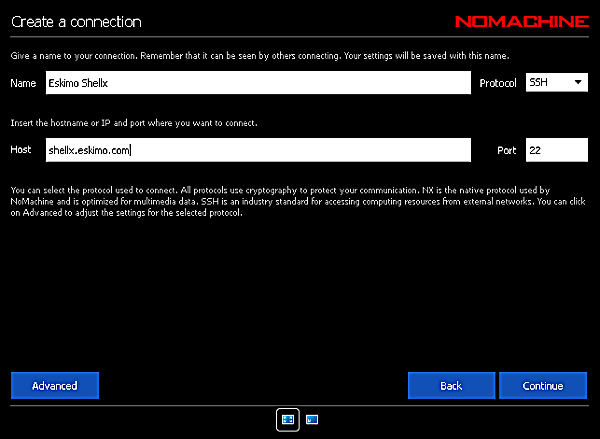 Do not check the “Use HTTP Proxy” box unless you actually must connect through an HTTP proxy server. We have not tested this functionality. 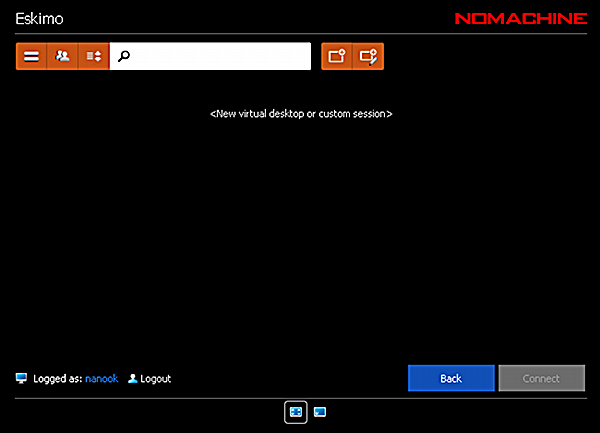 Click on “<New virtual desktop or custom session>”. For Shellx and Scientific, select either Gnome or KDE Desktop depending upon your preference.For other Linux shell servers select Custom Session. Specify the “Run the specified command” and fill in the command “mate-session” and select “Run the command in a virtual desktop.Mate is a fork of Gnome2 that is functionally identical. The 4.0 player is not 100% reliable when connecting to 3.5 based servers. Sometimes you will get an error like the one below. This is only one of many possible errors.If it fails, just click OK and reselect the session and try to connect again .I have found it helpful to wait 2-3 seconds between selecting the session and connecting. 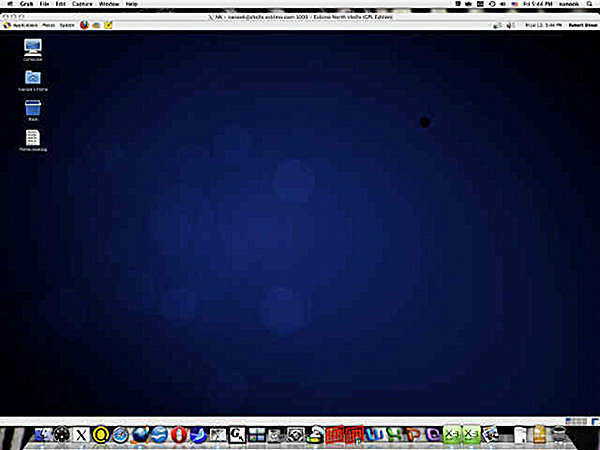 A successful connection will bring up a desktop. It will take several seconds and fade in. 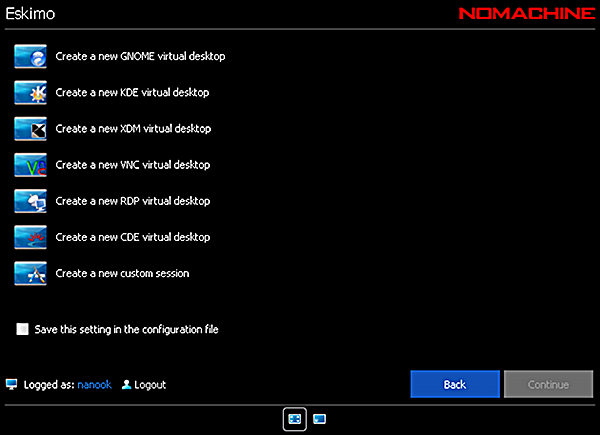 You will not get the big red and white “!M” like you did with NX 3.5 client. If you don’t have a shell account here, now is an excellent time to find out what you’ve been missing! Click Here For a Free Two Week Trial.